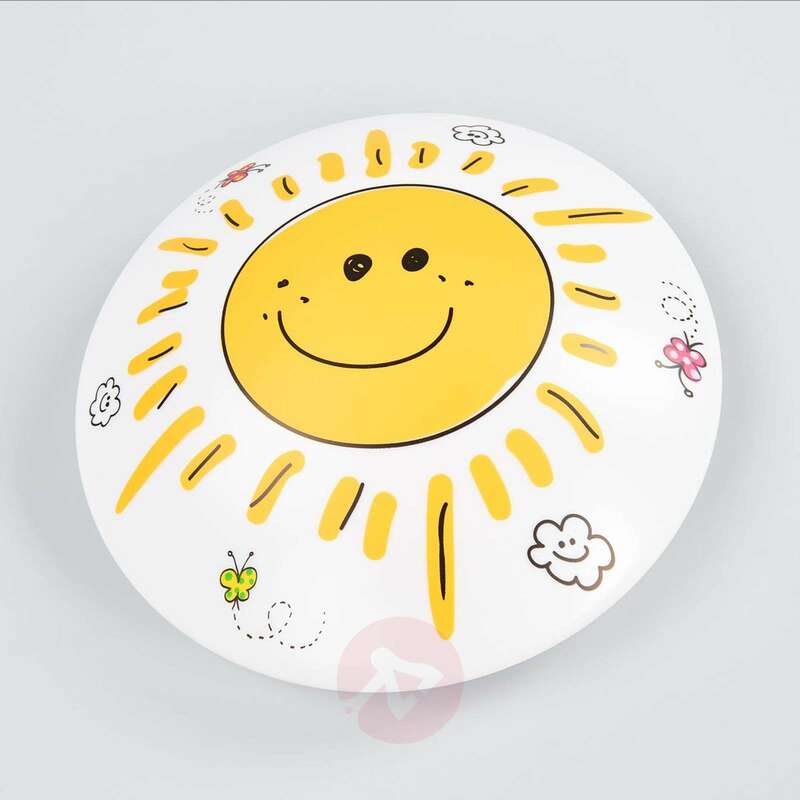 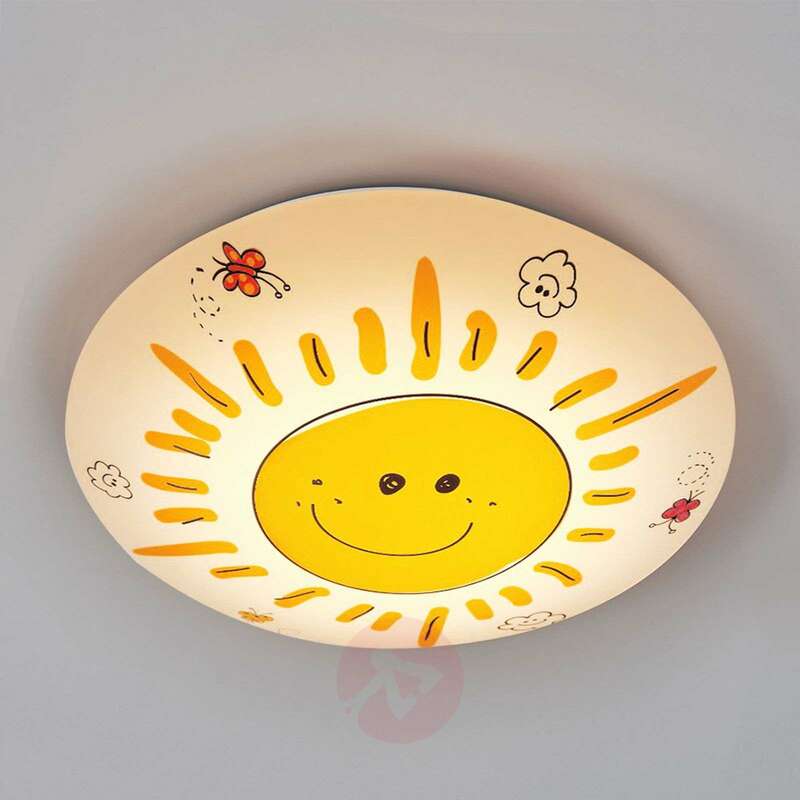 Whether it is raining or snowing outside, it is always sunny in any children’s room with this ceiling light. 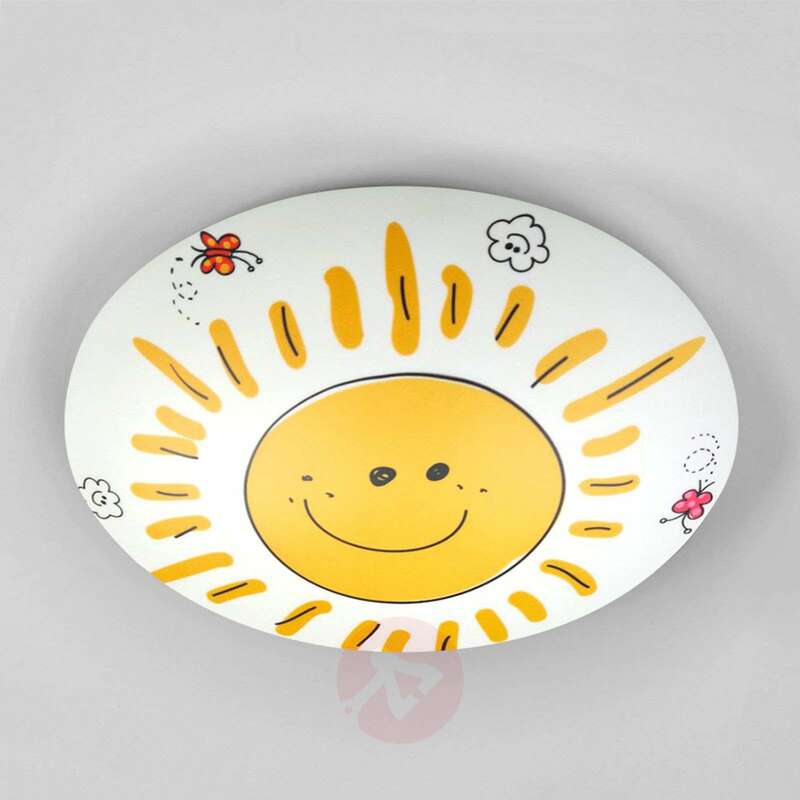 The round light comes in white and is decorated with a smiling sun. 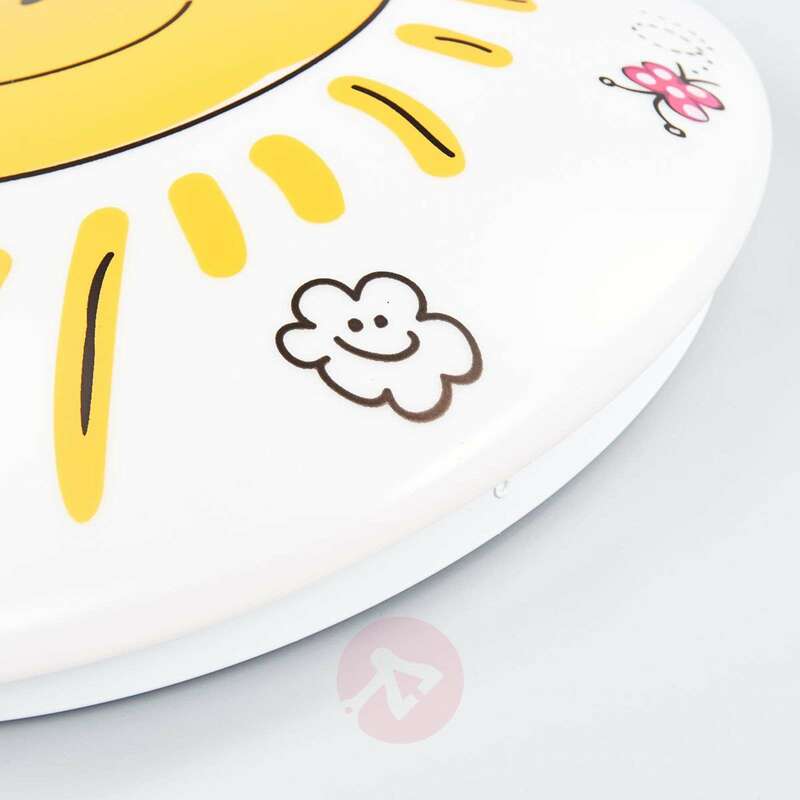 There are smiling clouds and some butterflies around the sun as decoration. 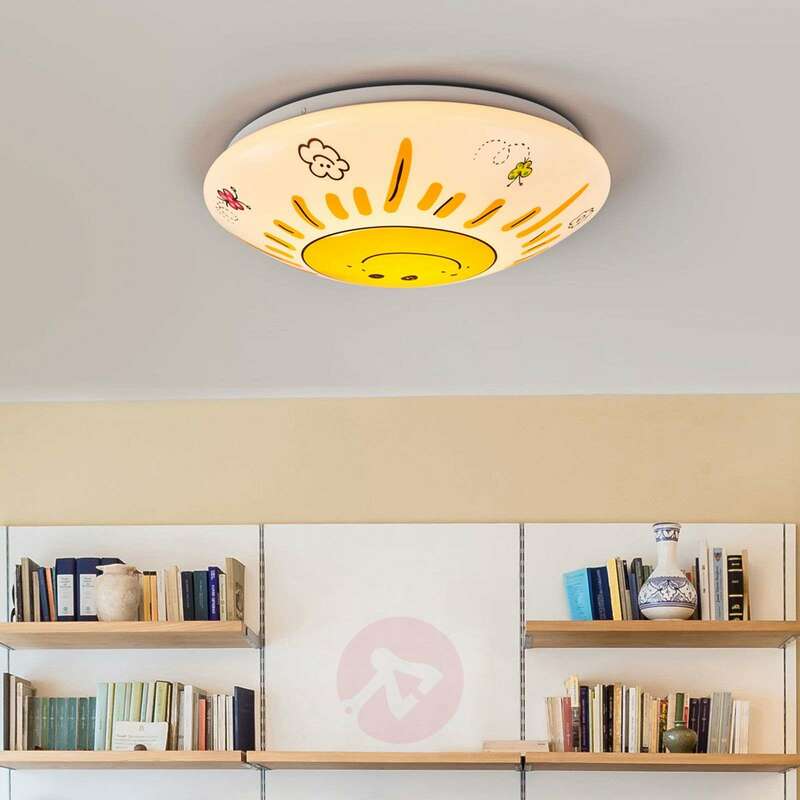 This light is a wonderful general lighting for the children’s room and is also a home accessory when switched off that spreads good mood. 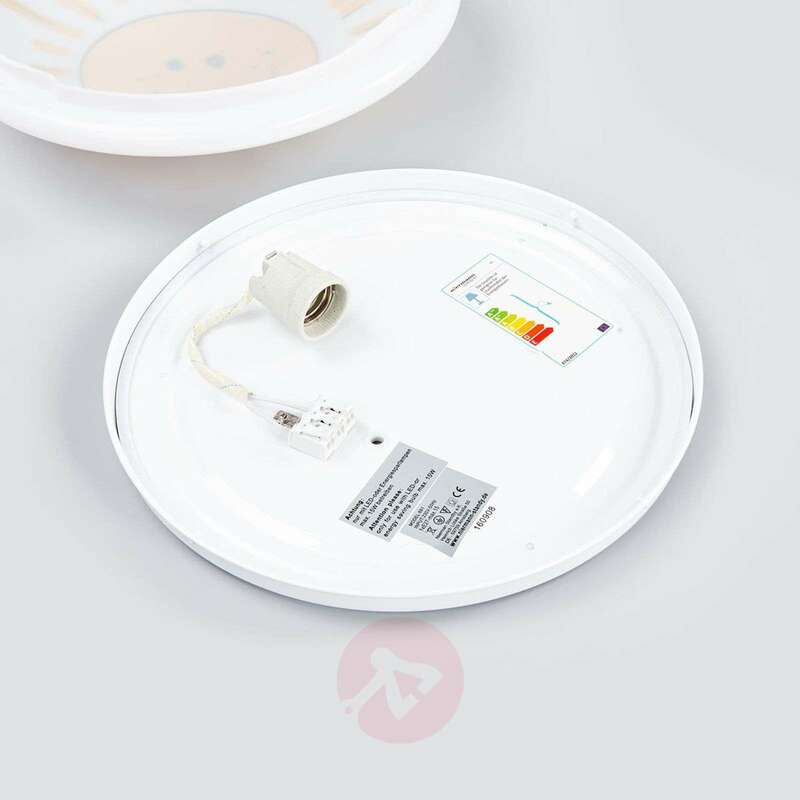 Suitable only for use with compact fluorescent lamps and LED bulbs.